Yeah! Marine Corp is one of my bucket list races, so I’m VERY excited to have gotten in for this year! The registration process was a little frustrating (almost an hour and a half of hitting the refresh button! ), but it was worth it in the end! Look who I “ran” into on my run! Overall – I don’t think I really gave my legs enough time to recovery fully after last weekend’s half marathon because they felt a little tired on this week’s runs, but since I was off from classes this week I had time to get in some good workouts. Running – I know it’s 7 months away, but I’m starting to look for a new training plan to try for Marine Corp (so if anyone has any recommendations of plans they like please share!). Also with no races in the near future I’m going to continue to focus on speed work. Nice week of workouts. I can’t believe how much you were able to run post PR half. That is awesome Danielle! Thanks Pam! 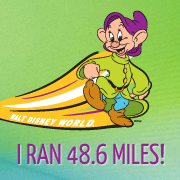 I’m surprised how much I ran this week too…I probably should have given my legs a bit more of a break! Did you submit the bunny pic to @OlivetoRun? It might beat my Runicorn for fun furry creature in her That’s Bizzare pic challenge. Congrats on getting in to the Marine Corps race. Another friend of mine got in, as well. She mentioned on FB about the hassle of the app process. I will add this race to my bucket list. Why are all the “great” races on the east coast??? There are definitely some West Coast ones I’d love to do too! Big Sur is on my list, and I’d love to do something in San Francisco, there are just too many good races! I have twitter envy right now! 1. Super cool that Bart Yasso tweeted you!!!! 2. I can’t stop laughing at how awesome that pic of you and the bunny is! Ha, it was just like at Disney – I ran right up to him, snapped a quick pic and kept running! 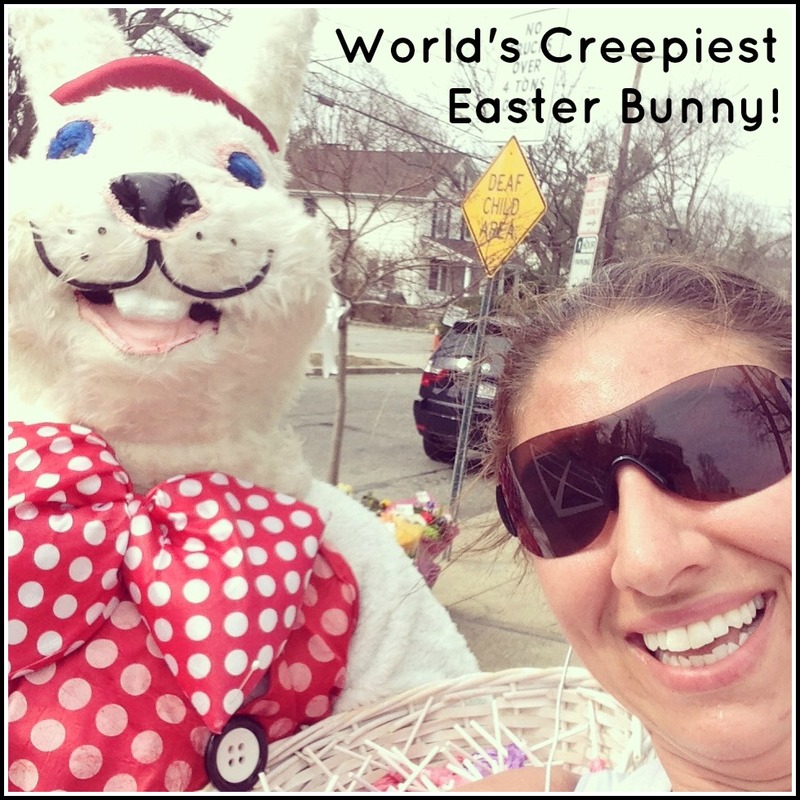 Poor bunny was totally startled (and totally creepy, but whatever! ).